Darren Aronofksy’s latest film is designed to cause an emotional outburst of some variety. It is a nasty attempt to provoke a reaction from every single person watching it in the cinema, and he probably doesn’t care if that outburst is positive or negative: it is the reaction that counts. mother! 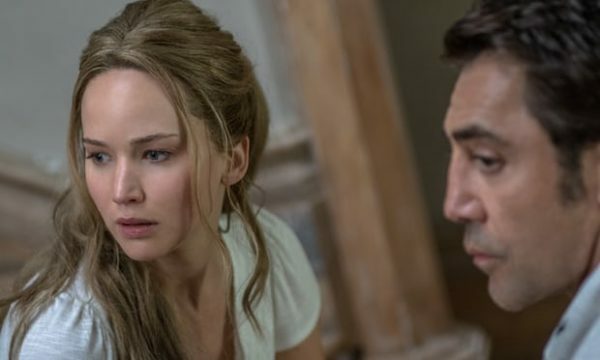 focuses on Jennifer Lawrence and Javier Bardem’s couple playing host to weary travellers Ed Harris and Michelle Pfeiffer, before things escalate in biblical proportions. The level of madness in the film is only matched by contemplating just how many themes and metaphors Aronofsky is attempting to convey. It is probably on purpose that all of these things result in a sensory overload while the film is still playing. This list will break down some of the themes in an attempt to unpack everything that Aronofsky might be trying to say. Even naming the characters when writing about mother! is problematic, due to none of them having specific names, only nouns or personal pronouns. Therefore to make sure we are all on the same page, the actor’s names shall be used in this article. mother! is drenched in religious allegory, much like previous Aronofsky works in the way it both embraces and is critical of religion and the way it affects society and individuals. Certainly, the final act of the film plays as a parable of the Old Testament, with the pace cranked up as much as possible to create an atmosphere as intense as possible. The sequence reaches such heights that forgetting to breathe due to the astonishment was a result; something that very few sequences in film manage to do. 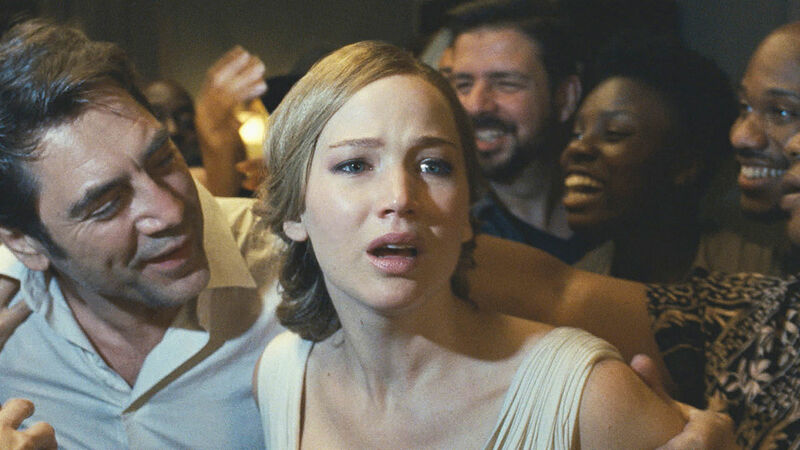 The final act of the film plays out as a criticism of religion and the belief system that is held by so many; just another way that Aronofsky is attempting to provoke a reaction from his audience. The blind faith of so many people who read a piece of literature for the first time and absorb its message to such a degree that it becomes a belief system is satirised to a high degree here. The fact that we do not see what exactly it was that was written to create such a response is another dig in the ribs by the director, the question posed being how many people of faith have actually read the text of the religion that they follow? The role that fame plays in mother! is two-fold: depicting what happens to the person who is centre of attention, and how that effects that person’s partner. While her husband’s book has struck such an eclectic chord with so many people, mother feels that his balance of time has moved too far to his fans as opposed to her, especially while pregnant. The worshipping of the star is something that has been soaked into modern culture. Social media is the most potent weapon in a new form of idolisation, where the most popular figures in our culture have taken the place of the gods of previous centuries. The setting of mother! makes this idea even more interesting: even though the film has no specified temporal setting, we can assume that it is close to the modern day and therefore social media has similar influence in the world of the film as it does in our reality. The house is in the middle of nowhere, yet people are still able to hunt down Javier Bardem’s character in their pursuit of a new-found deity. While mother simply seeks solitude and a place to have her child with her husband, his sheer good will and generosity for people is overwhelming and the balance between his private dedication to his wife and the public dedication to his followers is askew. This may be an overexaggerated attempt at depicting the loneliness felt by the partners of people in the limelight, but nevertheless we do side with mother, the frustration coming from the poor division of loyalty and time on the part of her husband. 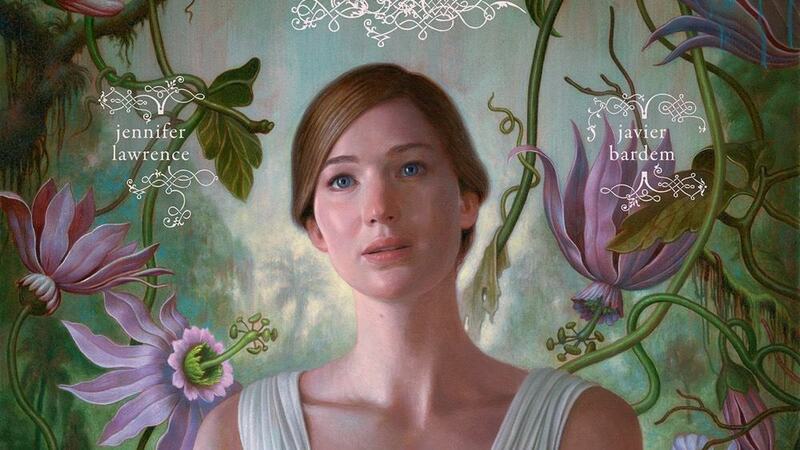 The environmental allegory that is presented in mother! could go hand in hand with the religious connotations the film has as well. Because mother and her husband live in an Eden-esque paradise, both ideas are simultaneously valid. The opening act of the film follows mother as she tends to the house in such an intimate and loving way that the house almost becomes the third protagonist. The house first voices its creaks and groans in discomfort as more people enter the fray; setting the film on such a small scale means that the overpopulation subtext must happen on a quicker and more delicate scale, with the warning shots being fired as soon as Michelle Pfeiffer’s carefree entrance threatens to upset the balance of peace between mother, her husband and the house. Of course, the metaphors here are hard to miss regarding good treatment of the earth in parallel with our quality of life on the planet itself. The heart in the walls of the house getting ever more infected and blackened acts as a measure of devastation and a signal that the next act is about to begin, such is the tightly wound relationship between the plot and the environmental ideas. 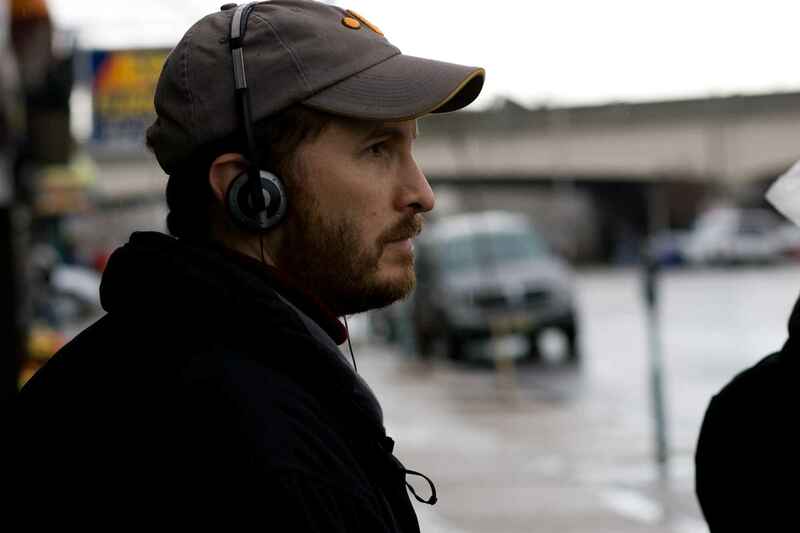 Aronofsky’s films are always open to criticism, and purposely so. Each film can be praised for what it is attempting to achieve and ridiculed for the frankly ridiculous nature of events within. mother! attempts to push those boundaries further than normal, and therefore it is an easy target for ridicule. Part of this may be because of just how many different levels of subtext Aronofsky is bringing to the film, yet his candour in press interviews about the film has not helped in this endeavour. 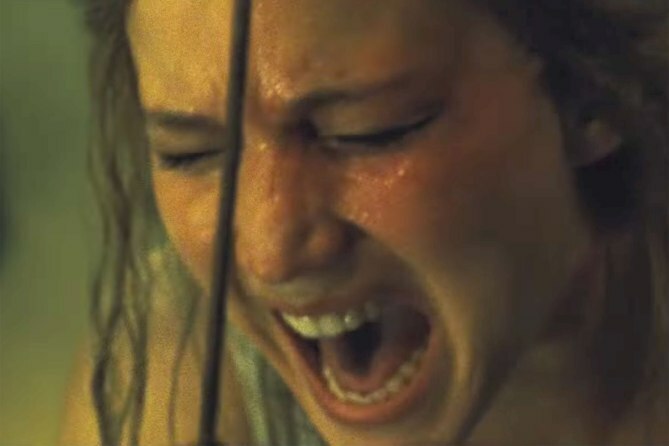 In different interviews Aronofsky has declared that he sees himself in both the mother character and her husband, which is troubling when you look closer at the husband character in particular. Because the husband is clearly represented as God- he writes a sacred, worshipped text and is the creator of the house- Aronofsky is stating that he is the one with all control of everything in the film; all the effort put into it is simply a result of his own mind and no creative control was exercised elsewhere. Mother is written as a woman who is created in order to keep her husband’s world stable and the most important thing that he needs of her is the unwavering, everlasting love that she gives him. In terms of the relationship between the two central protagonists therefore, this ultimately means that the relationship is boiled down to the role of the wife being only to serve her husband in whatever way he sees fit, to preserve his legacy and reputation as opposed to looking out for herself. It is possible that this is intended to be yet another satirical point on the loyalty that religion forces on you, but the film does not effectively present this argument, and often the mother character comes across as a sexist archetype without a strong enough argument offered to counter this. Following on from this idea is the role of parenthood in mother! and the distorted representation of Christ in the film. A number of reasons for the couple’s lack of children are presented in the film- they are happy without one, both believe that the other does not want a baby, for example- yet the final resolution is that a child is needed to save their marriage and relationship. The scene leading up to conception is the most problematic in the film, as this is arguably the strongest moment that mother has in the film: her desire to keep her husband by her side leads her to such measures that she is willing to have a child to keep his love strong. Aronofsky’s presentation of the baby, who is believed by the husband to be the unifying force to cement peace between his various factions of followers, is a muddled chaos that intends to represent the weakness that he has over his people. Once all resources dry up, the people in the house stop following God and start looking to each other for divine guidance, and the events in the house feel more in place in a Mad Max film than here. Certainly, by the final act of the film, there is a great chance that the view of the audience has gone from engagement in drama to ridicule at stupidity. Because so much of the film is drenched in religious allegory, a viewer of a more agnostic background would find events in the film simply foolish, and focus more on the events concerning the relationship between mother and her husband, where a common-sense attitude would kick in, namely: do not neglect your baby, keep a precious life close and sacred. Perhaps Aronofsky is trying to say that once you have a child, life is completely different and the world no longer revolves around the relationship between a husband and wife, but all devotion is to be directed towards the child. Because the husband is so earnest in appeasing the factions in his house, it is his naivety that costs the life of the baby, the factor that ultimately pushes mother over the edge. The first two acts of mother! might well be the politest home invasion film in cinema. 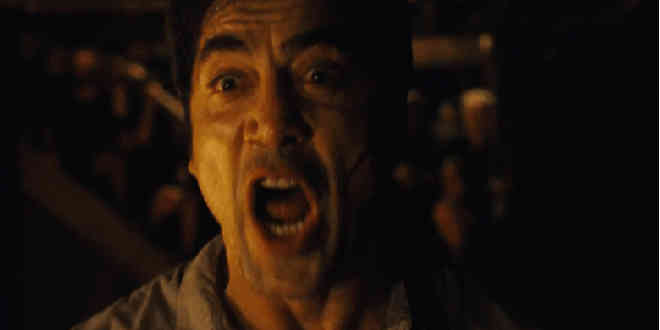 Initially it is the kindness of Javier Bardem’s character that brings in these external, unknown entities who may or may not have malicious intentions. Tying in with the theme of Mother Nature, the multiplication of bodies takes its toll on the house, as mother attempts to keep all parties harmonious, to the point that she is unable to cope anymore, literally breaking down in the chaos of everything happening around her, to the point where any restoration seems hopeless. The primary motivation of mother is to keep the house in the best condition possible; early sequences of the film are of her working meticulously to keep it in as good a condition as possible, the upkeep seems to take up the majority of her day while her husband tries to find a solution to his writer’s block. The message that Aronofsky is presenting comes from notions that connote the safety and comfort that is represented in the idea of the home, how the most precious possessions and memories that we own are contained within it. When the house is breached, mother feels genuine pain and anguish, not only that her passion project is being ruined but also because there is now no safe place for her to be.